Authorities have ordered the evacuation of 10,000 people as wildfires blazed through the French Riviera for a third day. 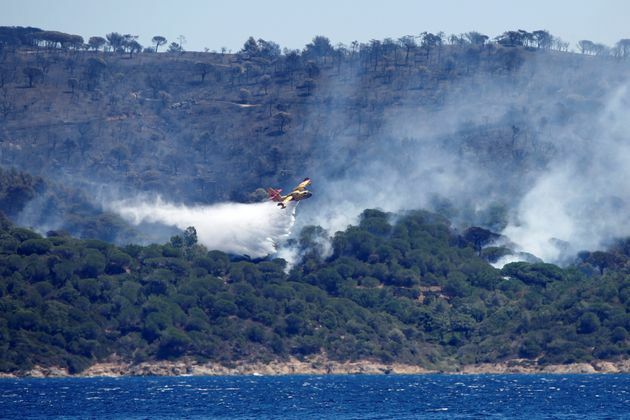 A violent fire took off in the dry Mediterranean forests around La Londe just before 11pm the night before and 540 firefighters were sent into the region. 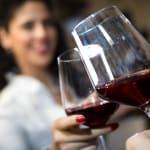 About 3,000 campers were among the 10,000 evacuated from La Londe and nearby Bormes-les-Mimosas and La Lavandou, an official statement said. La Londe is under 30 kilometers (18 miles) from the city of Toulon. Tourists from France and elsewhere flock each summer to the coast, doubling or tripling its population. Four tracker planes and a fire-fighting aircraft were sent in. About 800 hectares of back-country forest had burned by morning. Lisa Minot, a British holidaymaker staying at a campsite near Saint Tropez, told the BBC all tourists from the resort were evacuated at around 2am local time and were forced to spend the night on the beach after being told it was not safe to stay in the wooded campsite. She said as many as 3,000 people – including tourists from other campsites -sheltered on the beach in cold winds. She told the broadcaster she had seen a plane collecting water from the sea and then "going back into the pool of black smoke" on the coast. Actress Joan Collins, 84, abandoned her house near Saint-Tropez yesterday, tweeting that particular blaze had been started by a BBQ. Fires began raging along the coast on Monday, forcing smaller, scattered evacuations with flames reaching a corner of Saint-Tropez. Since noon Tuesday, firefighters had conducted about 100 operations. 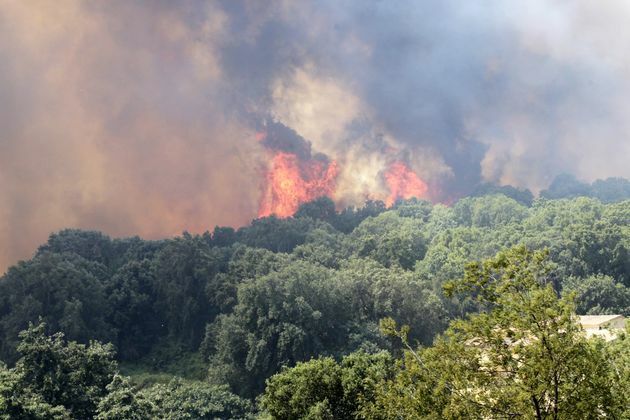 Further east, reinforcements were sent in to battle a blaze in Artigues that burned up to 1,700 hectares of forested land. 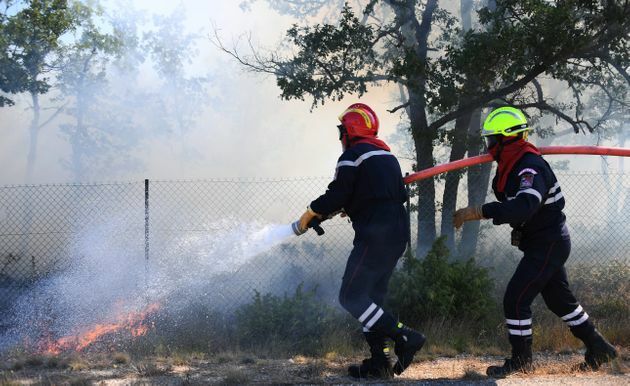 Another fire was contained on Tuesday evening in La Croix Valmer after burning two villas, seriously injuring one firefighter and devouring about 500 hectares. France's Mediterranean coast is particularly vulnerable to fires, with its massive back-country forests, often dry in the summer, and Mistral winds blowing across the sea to fan flames. Smoke blew across the shores from the fires that were visible across bays on the picturesque coast, frightening some. But firefighters warned against panic. No injuries have been reported among residents and vacationers. Further south, flames ate through some 2,000 hectares of forest on the northern end of the French Mediterranean island of Corsica, in what was the largest blaze.